Have you ever been online shopping and thought to yourself, “I wish I could try these on before I paid!” I’ve thought this many times when shopping online, and had just come to the conclusion that it was only wishful thinking. So, as you can imagine; I was pretty excited to hear that there was a new website that allowed members to try on their clothes BEFORE they bought them. Genius right? Lyon and Post has a wide variety of designer brand clothing and accessories for a great price, and all of which you can try on before ever seeing the money disappear from the bank account. 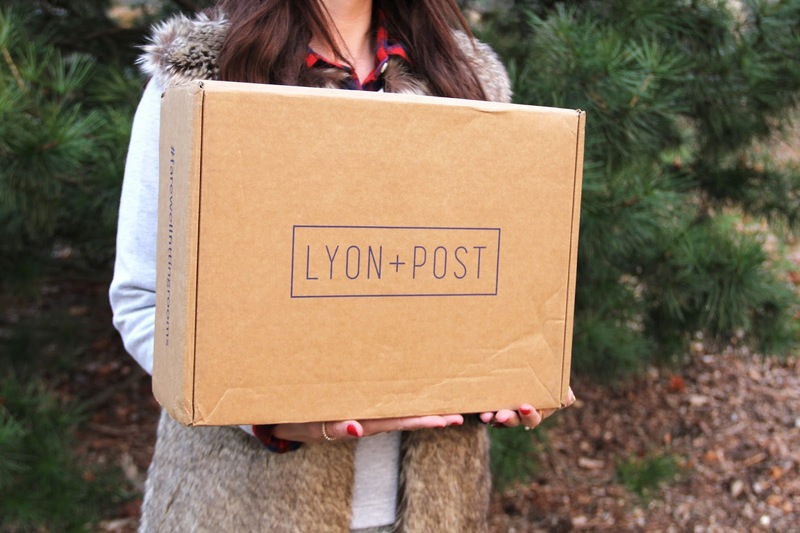 At Lyon and Post, you add the clothes you want to your que, and they ship them to you right away. If you don’t like something, no problem! Just ship it back, and keep what you want. You will only be charged for what you keep. Why didn’t anyone think of this sooner? 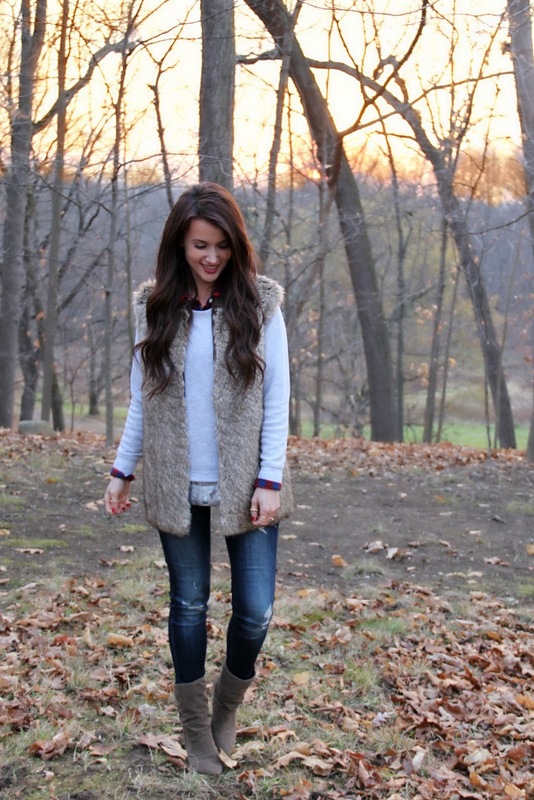 I chose this darling fur vest and grey skinny denim. The quality on both are great, and I’ve worn the fur vest already more times than I can keep track of. If the rest of their clothing is as good as these, you will not be disappointed. I hope you all are enjoying you week! Previous Post Comfy Cozy with Good Row Clothing + a GIVEAWAY!! Next Post Already craving spring…. Love this vest! You look gorgeous!!! I love both of these outfits! Such a cozy vest. You look so gorgeous I love that vest! You look amazing! I love the fur vest. We love these boots and perfect mix with fur vest. I saw this on someone's blog last week. I think you just convinced me I need to try this! With three kids I find it SO HARD to make it to the mall. I hate online shopping because i feel like things never fit and its such a pain to send it back. this would be amazing- i could order a few sizes and then only keep the one that fits! thanks for sharing girl!